Mission: The mission of the Missouri Emergency Response Commission is to protect public health and the environment by assisting communities with chemical incident prevention, preparedness, response and recovery; and by receiving, processing and reporting on chemical information received under the community right-to-know laws. Function: The Missouri Emergency Response Commission carries out those responsibilities designated under sections 292.600 to 292.625 and implement sections 292.600 to 292.625 and the Emergency Planning and Community Right-to-Know Act of 1986, Public Law 99-499 as amended, and all rules and regulations promulgated pursuant thereto, herein to be known as the federal act. RSMo 292.602 Paragraph 3 Subsection 1. 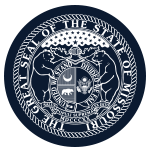 Member Requirements: The commission shall be composed of the director of the Department of Economic Development, or his designee; the director of the Department of Public Safety or his designee; the director of the Department of Health or his designee; six members appointed by the governor; one to represent transporters of hazardous materials; one to represent Missouri industry; one to represent local government; one chief fire officer from a recognized fire department or fire protection district; one police officer of the rank of captain or above from a recognized county or municipal police department; one to represent the general public; and four members of the general assembly, two of whom shall be appointed by the speaker of the house and two of whom shall be appointed by the president pro tem of the senate. Political Requirements: Yes, no more than three members appointed by the governor shall be of the same political party.